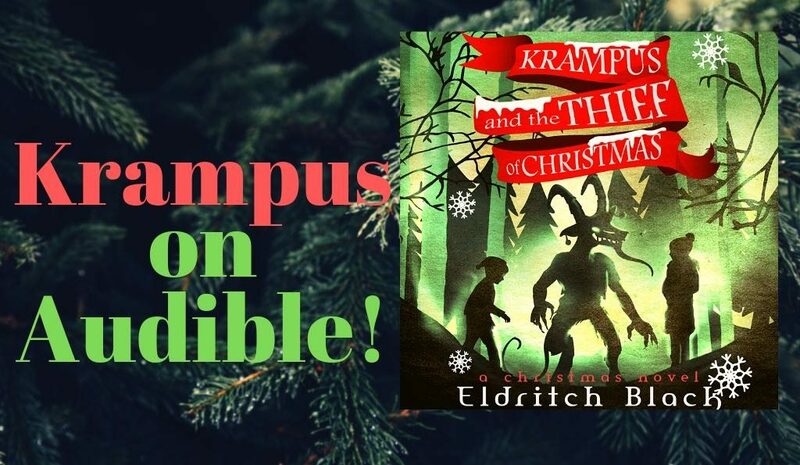 Krampus and The Thief of Christmas available on Audible! Krampus’ phenomenally talented narrator, Hannibal Hills, has done an amazing job of bringing the novel to life. From Gabrielle and Percy, to the malevolent Matilda, from the boom of Father Christmas to the slinking sinister growls of Krampus himself. Light and darkness, and more than a few laughs along the adventure. I hope you’ll love it, no matter the time of year. And, if it’s too hot and sunny where you are right now (and if it is you have my deepest condolences), you can always pop on your player of choice and sit in a walk-in freezer, and pretend it’s darkest December. That’s the beauty of audiobooks, you can listen to them wherever you please! So, Merry Springmas one and all! 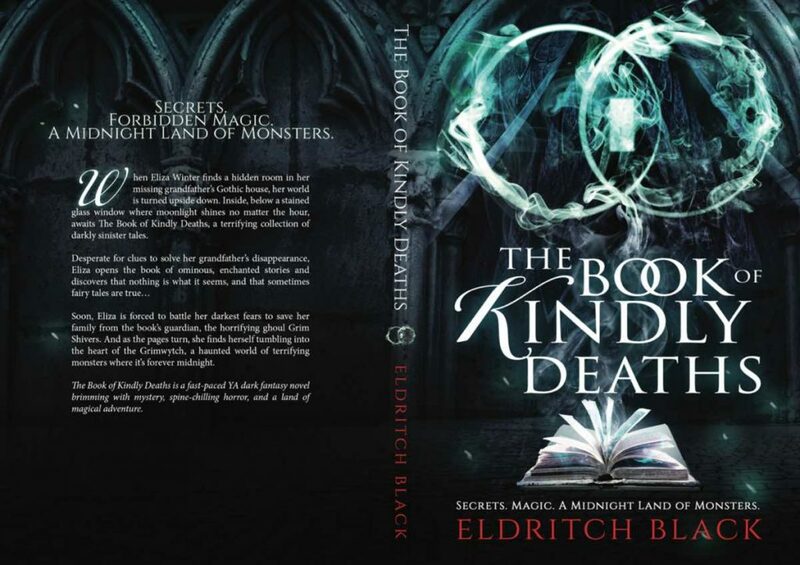 New Eldritch Black books for 2019! It’s been a while since I updated this website. Lots has happened since and I’ve been working on many projects, but this update concerns the ones coming soon. Many years ago I wrote a book about a boy called Jake and his eccentric friend Professor Thistlequick. Both characters were featured in The Ghost’s of the Tattered Crow and The Curious Incident at Gloamingspark Yard as well as the silhouette art I used to sell on Etsy. The novel definitely needs a polish and a lick of paint, but it’s almost ready to be released. For this one, you can expect a touch of Steampunk and a heavy splash of magical Gothic Victorian adventures set in the twisted streets of a London that may or not have existed. I’ve just finished a brand new book and this one’s completely different from my other work. For one it’s set in America, for another it’s written in first person. And for one more, because why not, it has pirates in it. And treasures, curses and hideously monstrous villains. I’ll be sharing more news soon. 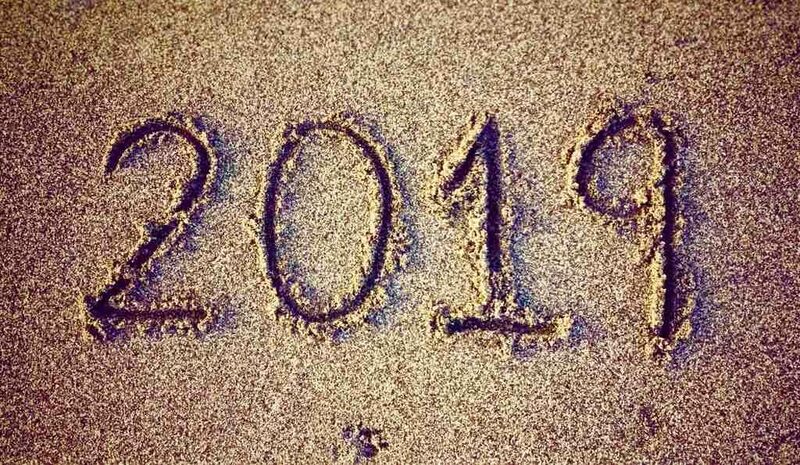 Until then, happy reading! Your eyes are not deceiving you, The Book of Kindly Deaths has changed! It happened one icy, coal black morning when I woke to find the cover was different… that somehow it had transformed while I’d slept. The entire matter was a dark mystery of course. It was still gloomy in the house (I cannot rise during the sunlit hours) and as I looked up from the strange, swirly new cover, I swore I could see two pinprick eyes glowing in the shadows behind the book. Grim Shivers? It’s possible. As you may know, anything’s possible with The Book of Kindly Deaths… I hope you enjoy the new cover. If you’d like to see it in the wild, it’s now available in many places! Amazon, Kobo, Apple Books, Barnes & Noble – everywhere! And despite the new cover the pages still rustle at midnight, and now and then you can hear faint growls and screams issuing from the ever-restless stories. 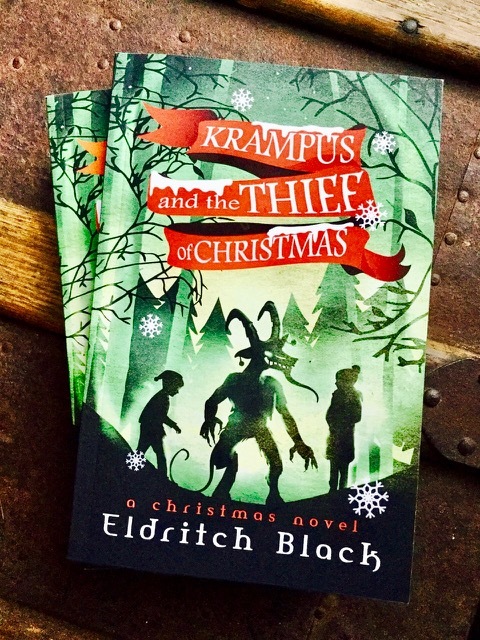 Win a copy of Krampus and The Thief of Christmas! Seasons greetings! December is here, the nights are drawing in, the air is chilled, the perfect time to curl up with a good book…and to avoid the windows and doors. Just in case Mr. Krampus comes calling. It could happen. You should be prepared if he comes a knocking on your door. Know your adversary. Understand the fiend. 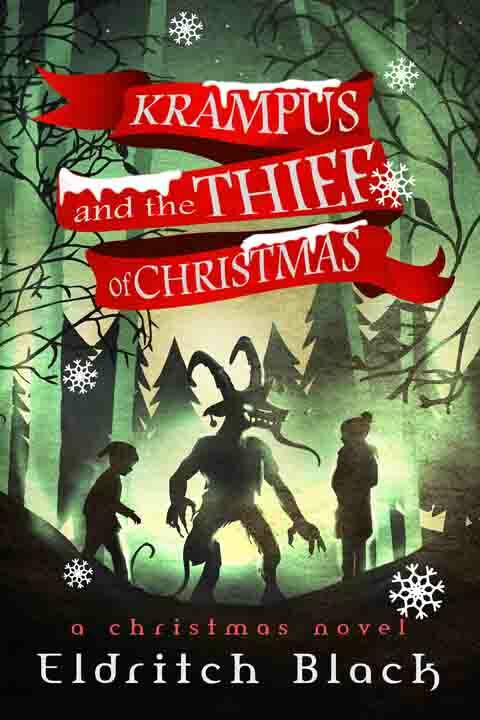 Arm yourself with a copy of Krampus and The Thief of Christmas! As you can see from the image above, the paperback edition is now available, and I’m told each copy was handmade by a studiously working elf. You should probably buy a copy now, just so you know what to do if in the future, on one dark night, you hear a tap-tap-tapping at the window. And while you’re waiting for your emergency copy of my new ever-so-slightly creepy Middle Grade Christmas book, you could also win a copy by clicking below.Good luck and here’s wishing you a most merry one this year. It’s hard to believe the two year anniversary of The Book of Kindly Deaths being published has just passed. 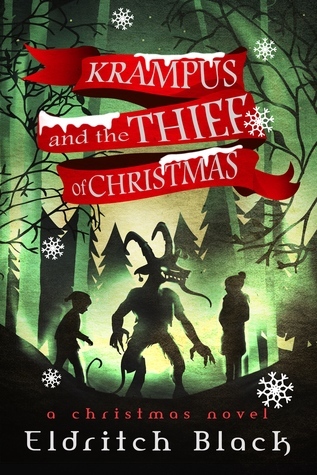 Since then I’ve written quite a lot and new works are on the way, including my brand new novel Krampus and the Thief of Christmas which is now available. Yes, I’ve written a book about him. Krampus the dark Christmas spirit who punishes children that have misbehaved. Krampus, the scary dark being who comes calling on Krampus Night (or Krampusnacht). That’s the 5th December – just in case you’re concerned. And if you are worried, because you know you’ve been bad, and you hear a tap-tap-tapping on your door, I’d hide and hope for the best. But of course Eldritch Black readers are never bad, indeed they’re good beyond measure. So to reward your goodness & all round sparkliness, I’m including a preview of the novel below. Now, grab the Christmas Spirit by the horns! Winter gifts from Eldritch Black & not a lump of coal in sight! It’s been a long time since I last posted to the Occasional Blog, which given its name, seems fitting. The eagle-eyed among you might have spotted the odd Instagram inspired post, like this one, but as for book news, there’s been nothing much since my last update. My silence has mostly been down to the fact I’ve been busy writing not one, but two new works. 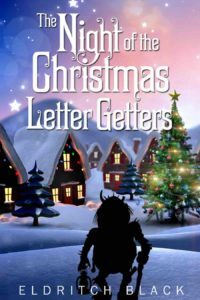 The first, The Night of the Christmas Letter Getters is a short story about a dark winter’s evening, a dastardly plan, and elves and trolls and a secret Post Office. It’s the most magical time of the year again. The snow is falling, the evenings are drawing in, the secret Post Office is open for business and the Christmas Letter Getters are out in force. Among them is Finley Stark, a small elf with big problems. He doesn’t know it yet, but there’s sinister forces at play. Soon Finley finds himself being chased through the snowy Yuletide streets of a strange old city, pursued by trolls with dark, fiendish plans. The Night of the Christmas Letter Getters by Eldritch Black is a darkly whimsical tale of Elves, Trolls and festive frights. As of the time of writing, The Night of the Christmas Letter Getters should be available everywhere. And you can get it for the price of nothing on iTunes, Kobo, and all other online booksy type places. It’s live on Amazon too & I’ve asked them to make it free, but for now it’s a whole 99 cents. Hopefully this will be fixed soon.